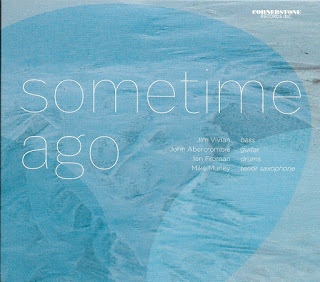 This Sunday Music Muse Day selections have a solid common factor, the late great jazz guitarist John Abercrombie. 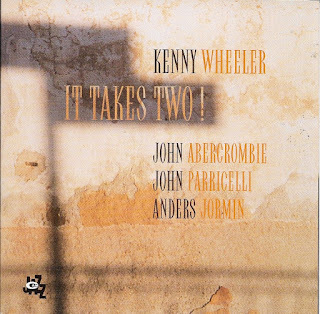 First up, is Kenny Wheeler It Takes Two with Abercrombie, another guitarist John Parricelli, and bassist Anders Jormin. 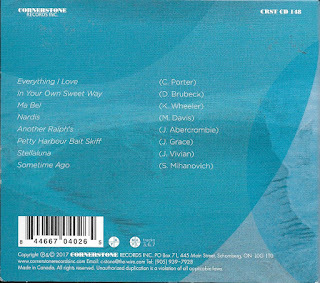 From the lineup and music you could easily assume this was ECM release, but it is from CamJazz. In statement from their webpage, "A refined jazz label, launched in the year 2000, dedicated to releasing jazz recordings performed by some of the most outstanding Italian and international jazz performers of our times." 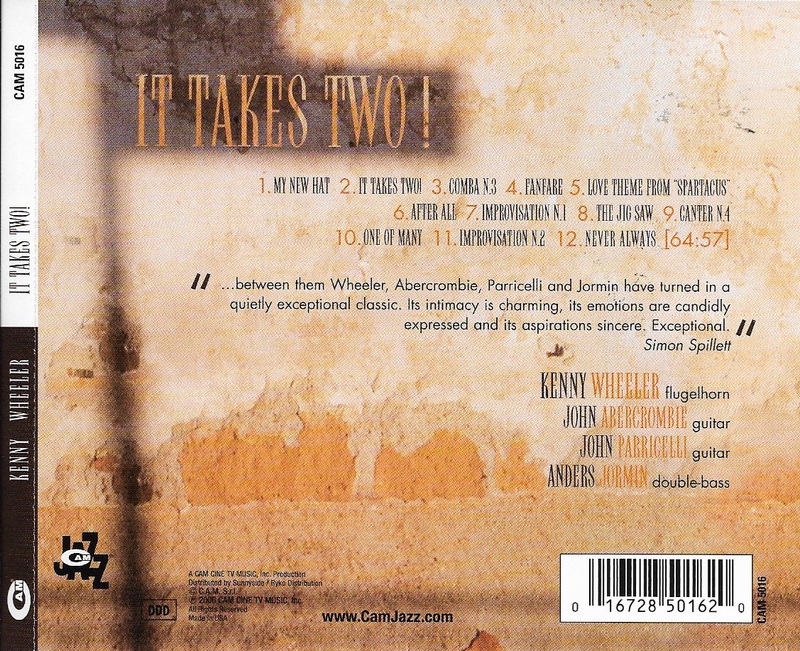 This ranges from a cool laid back rendition of Love Theme from "Spartacus" to Avant Garde free improvisations. If CamJazz other releases are of this quality, I'll definitely put them on my watch list. The second selection is Jim Vivian Sometime Ago. 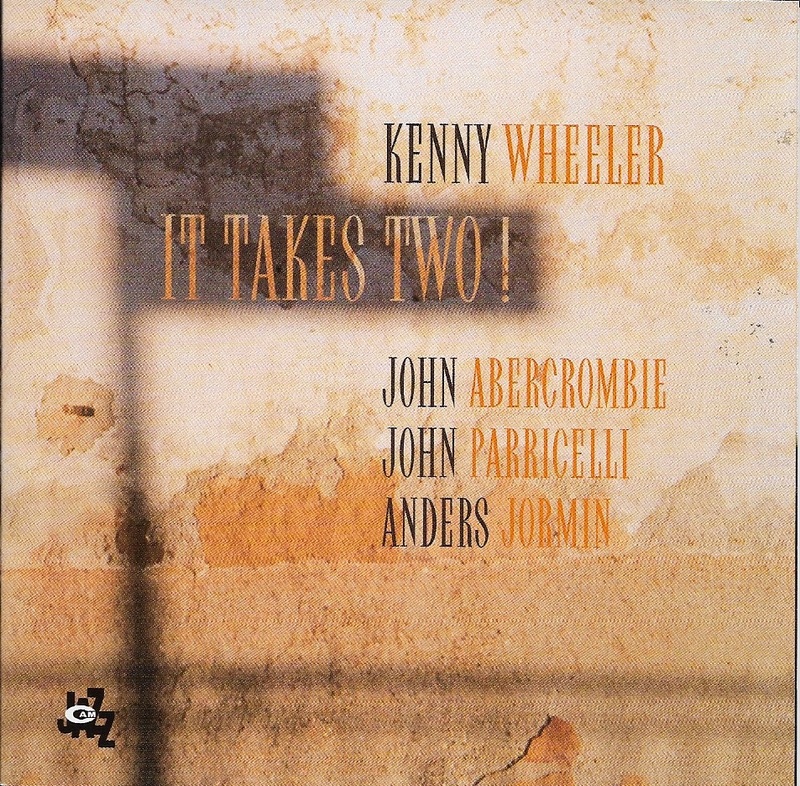 John Abercrombie joins the Canadian bassist and leader as online reviewer Stuart Broomer states, "This session, led by bassist Jim Vivian, was recorded in Toronto in 2016 following a series of performances at Jazz Bistro. 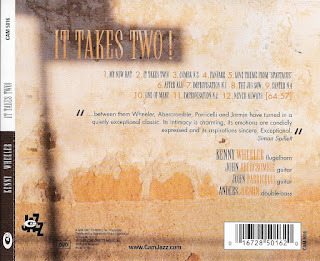 Five of the tracks are trio performances with drummer Ian Froman; three tracks add tenor saxophonist Mike Murley. 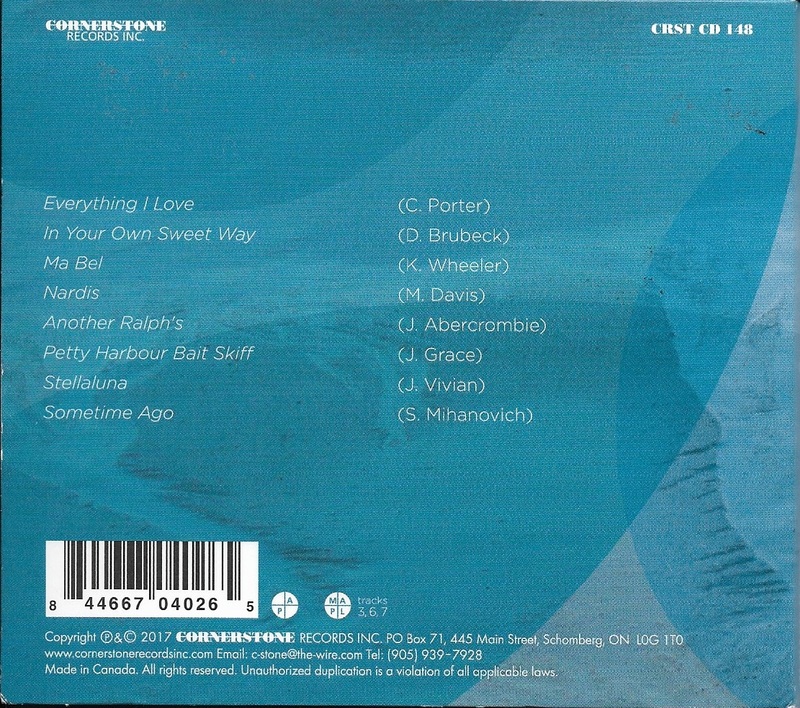 It’s eminently listenable music, low-key modern jazz that possesses depths and details that reward close attention. Abercrombie, Vivian and Froman weave complex webs of subtly inflected lines, often on jazz standards." I totally agree with the review. Again, the international appeal of jazz shines through. I hope to visit Toronto soon, and plan to pay a visit to the Jazz Bistro, if it is still there. Today had nice enough weather for us to take a walk in the park, and it was nice to return home to an afternoon snack, while enjoying these two CDs. Hope you find time to enjoy some good tunes, also.